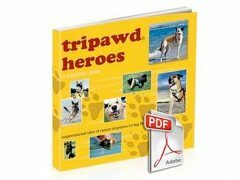 If you missed our Tripawd Talk Radio interview with Dr. Jessica Waldman from California Animal Rehab, listen to the podcast below for lots of helpful information about the importance of canine rehab and exercise for three legged dogs. Use the widget below to stream this episode or share it with friends. Or, click the share link to download it for listening offline. 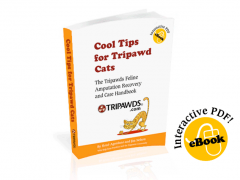 Dr. Waldman joined in the Tripawds Live Chat room after the show for some follow-up questions. Read highlights from the chat transcipt here. Subscribe to Tripawd Talk on iTunes, or check out Tripawd Talk Radio wherever you enjoy podcasts for all show archives and upcoming episodes.